That is a neat idea, and it would inspire me to keep a cleaner fridge. I LOVE the placemats you picked! Your fridge looks so pretty! Great idea! What do you use to keep the mats from sliding around? 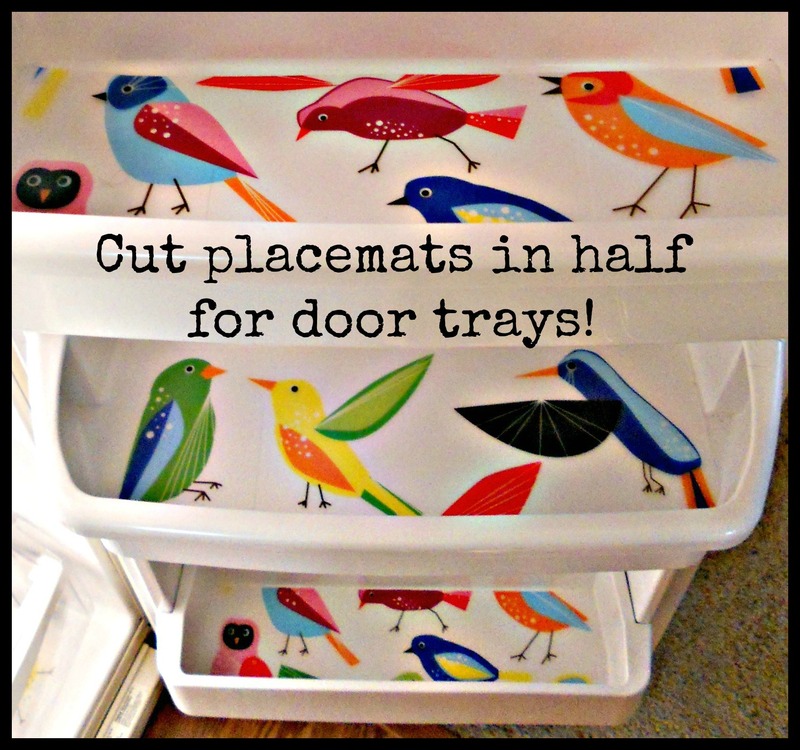 I have seen this idea and love the colorful birds placemats you used. My fridge is due for a good cleaning…can’t wait! Enjoy your day! I’m going to try to find some placemats as cute as those for my fridge! This looks great! I love that you used the little birdie placemats – they’re so bright and fun. 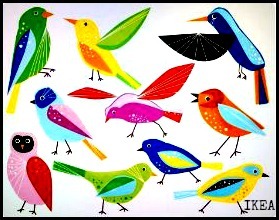 just loved!…birds are my favorite… too cute…I can hear my husband now! I never would have thought of this.It’s brilliant!I’m going to pick up today. I love this, it looks great and colourful too. These placemats are so fun! What a cheerful way to start the morning, right? Thanks! Lovely, practical and cheerful! 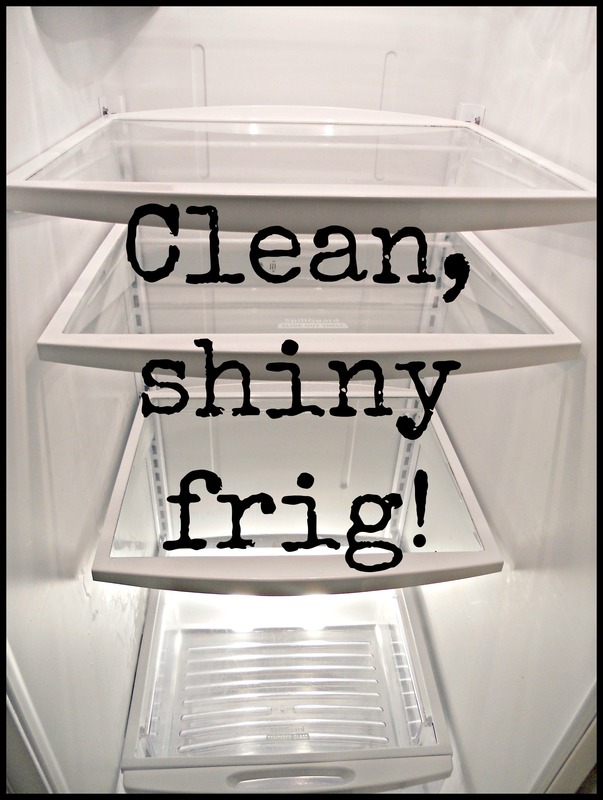 Hurray for a clean fridge, too. Hee! I know I feel great when that often-daunting job is done. Congratulations! This is so pretty…I’m not sure I’d want to cover it up with food! Ha ha. Great idea, and good timing— I’m about to tackle scrubbing out my refrigerator. I’m a lot more motivated, now that I know I can actually keep it clean! I’ve done a similar thing with clear shelf liner but yours is soooooo much prettier. As soon as I need new ones, I’m copying you. LOVE it! Really really love these Kathryn ! must have look on the website methinks 😉 Thanks . You definitely need a “LOVE” button instead of “Like” for this post! I LOVE birdies and seeing birdies in the fridge is such a cute and wonderful idea! I have often thought about doing this, but if I had cute birdies like this, I would definitely put cleaning fridge on my list of things to do! 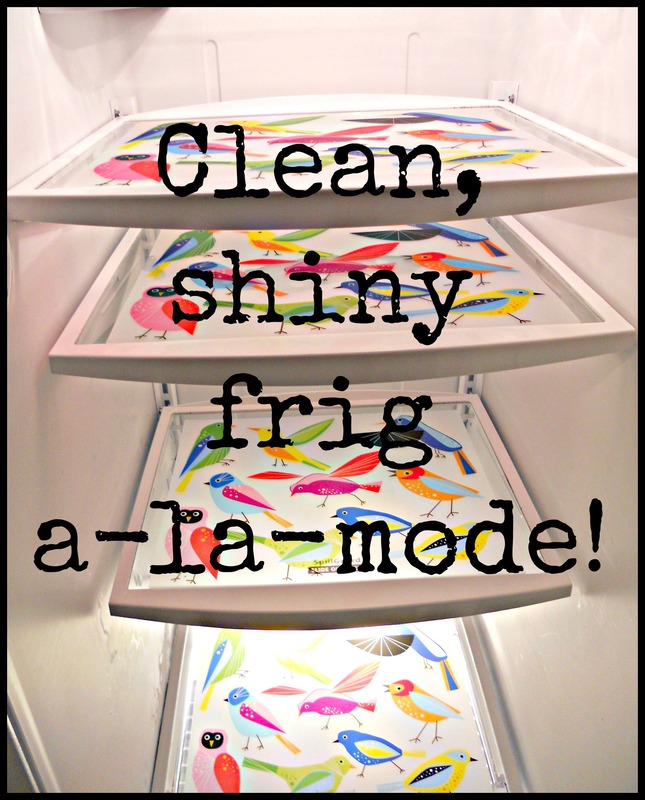 Wow this is such a terrific idea, it will help keep the refrigerator glass shelves clean and definitely prettier! Great work! Great idea! I’ve been using dish towels, but I like this much better! Oh my goodness, what a great idea. I will be trying this one!